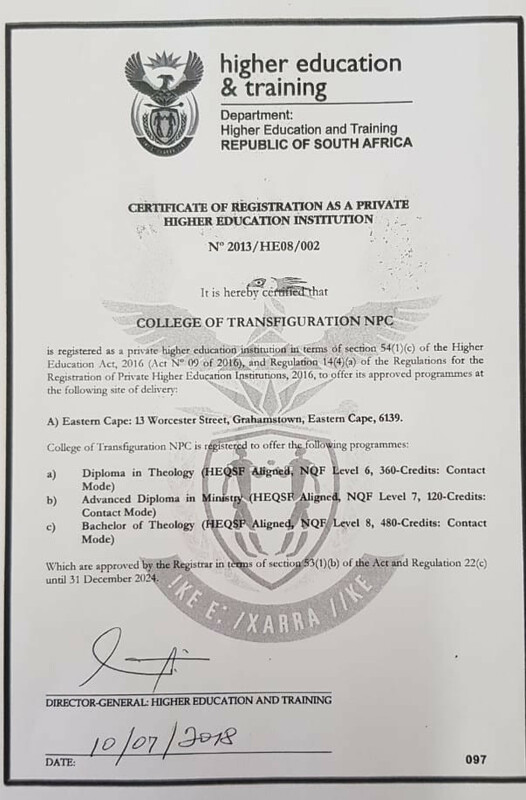 The Province’s principal residential seminary, the College of Transfiguration (COTT) in the city of Makhanda in the Eastern Cape, has been granted its final registration with educational authorities. South Africa’s Department of Higher Education and Training issued a certficate of registration for the college on July 10. In recent years, COTT has been operating under provisional registration. The new certificate (below) confirms that COTT can award the Diploma in Theology, the Advanced Diploma in Ministry and the Bachelor of Theology degree.